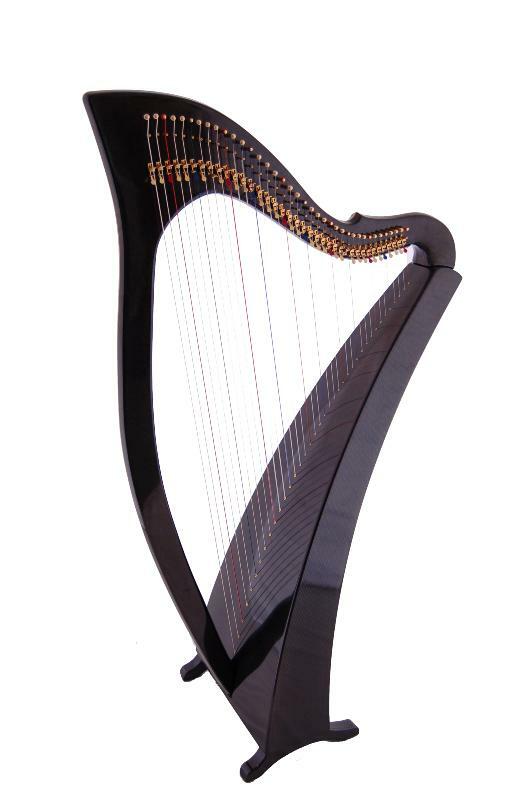 We have had so much interest in Heartland Harps' Infinity 36 and Legend 36 carbon fibre lever harps, that, with the latest addition of the Delight 38, we are now stocking the full range. 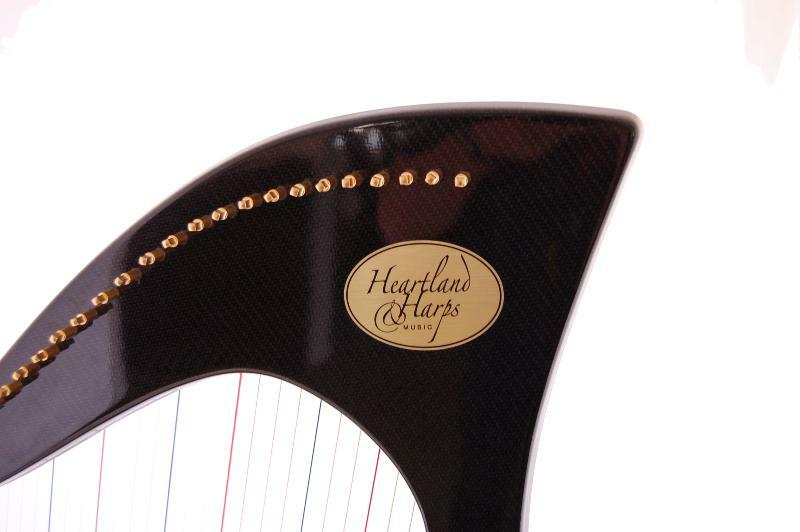 The Delight is Heartland Harps' first ever light-weight, full size carbon fibre lever harp. 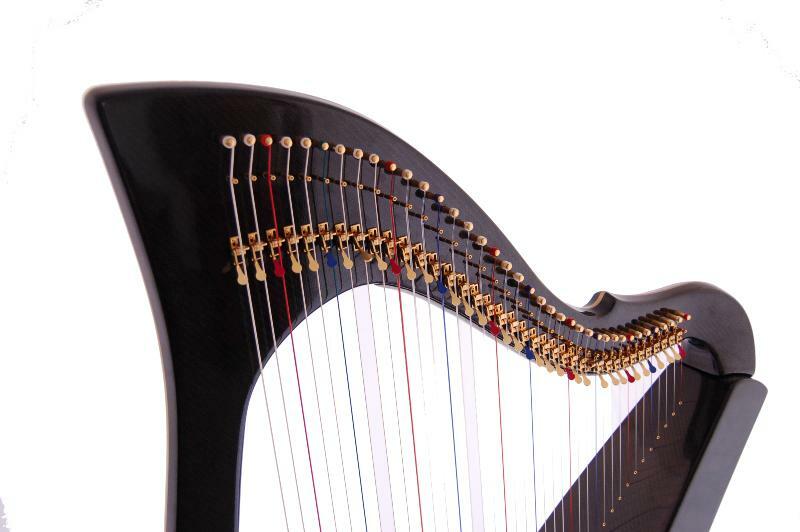 It has 38 strings (going down to A 3 octaves below Middle C), concert spacing and tension, and an incredibly vibrant and resonant tone. And, most importantly, it only weighs 4.8kg. 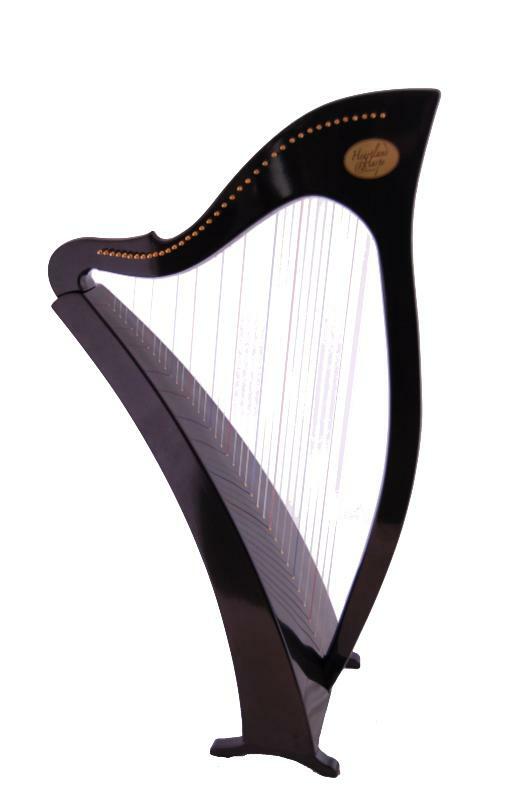 Imagine what you could do with a full sized lever harp that weighs as little as a lap harp! 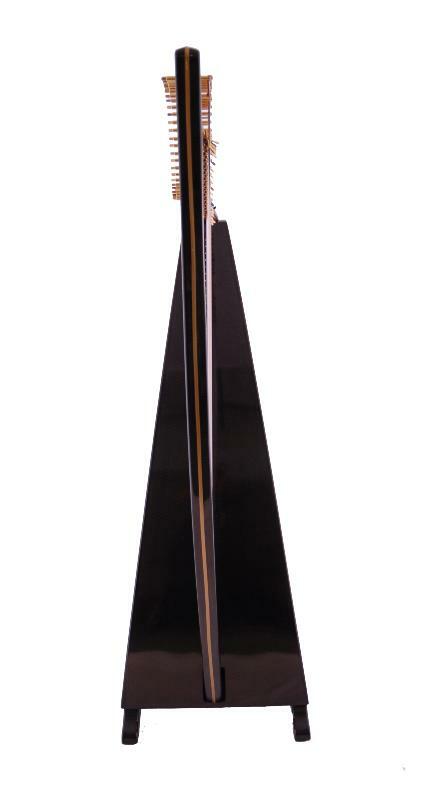 The Delight comes standard with full Truitt sharping levers, gold-plated hardware and a carrying case. The standard Delight 38 comes with a clear finish showing the carbon fabric underneath, which is specifically cut and laid out to be seen and admired. The Delight 38 can be ordered in any colour: gold accents are available as well. Nylon strings are standard: gut or fluorocarbon strings are also available.